LAST CHANCE to see “Much Ado About Nothing” at Tarragon Theatre! There is just over one week left to catch Tarragon Theatre’s latest production of Much Ado About Nothing! 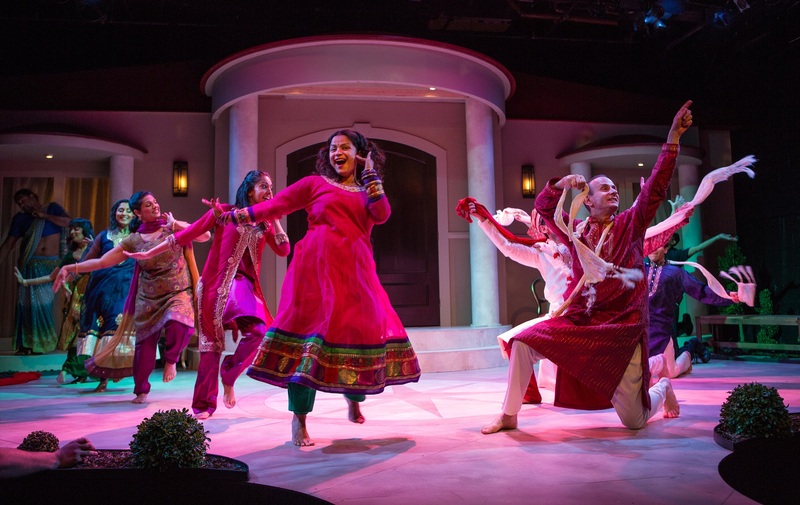 Beatrice and Benedict take on Brampton in this Bollywood-inspired adaptation of Shakespeare’s most clever comedy. Moving from comedy to tragedy and back again with razor sharp wit, a familiar story takes on new meaning when set in our own backyard. Classical text fuses with Bollywood in this larger-than-life spectacle. Running at Tarragon Theatre in the Mainspace until May 31, there are only a few opportunities left to catch this amazing production! Visit www.tarragontheatre.com or call 416-531-1827 to purchase your tickets today! Create your own show at our Shakespeare Summer Camp for Kids! Campers will learn to act, sing, improvise, construct costumes, and design sets – all while having the time of their lives! Summer Camp runs from June 29- July 10, 2015, Monday-Friday at our headquarters in Toronto. Watch the video below to see some of the things your Shakespeare kid will get to do with us this summer! For more information, or to register for camp, visit our Shakespeare Summer Camp for Kids page! Have a teen that is looking to step into the spotlight this summer too? Visit our Young Company for Teens page to find out more about our Summer training Program in stage and film performance! Our friends at Opera Atelier will soon be premiering their latest production, Alcina, and we couldn’t wait to share the news with you! Take a look below for more information about the show, and how to get tickets. This production looks amazing, and we cannot wait to check it out! Opera Atelier’s 2014-2015 season begins with the Canadian premiere of a fully staged period production of Handel’s Alcina (Oct. 23 – Nov. 1, 2014). Don’t miss this magical Baroque masterpiece, which marks Opera Atelier’s first major Handel production. Featuring stunning singers, exquisite sets and costumes, and the full corps of Artists of Atelier Ballet. Tickets start at just $38! Visit operaatelier.com for more information. Shakespeare at the Toronto Fringe! The Toronto Fringe Festival is fast approaching! Among the 150 shows to be produced this year, there are 3 that are Shakespeare related. Montreal company Beyond the Mountain brings us Bard Fiction, an Elizabethan retelling of the cult classic, Pulp Fiction. Following the success in Minneapolis and Chicago, this show makes it’s Canadian premiere at the Toronto Fringe! This show is suitable for audiences aged 12 and up. Visit http://www.beyondthemountain.ca/ for more information about Beyond the Mountain and Bard Fiction. Spur-of-the-Moment Shakespeare Collective presents the Julius Ceasar Project. Taking inspiration from the series Orange is the New Black, SOTMSC retells this classic tale in a women’s prison. After fringe, they will perform the show, in association with the Adelaide Resource Center for Women, to provide creative programming for women’s shelters in Toronto. This show is suitable for audiences aged 10 and up. Visit http://spurofthemomentshakespeare.weebly.com/ for more information about Spur-of-the-Moment. Best of Fringe winning company, Shakespeare BASH’d presents Love’s Labour’s Lost. Director James Wallis transforms the Victory Cafe into a fraternity house for his interpretation of this zany masterpiece of wit. This show is suitable for audiences aged 19 and up. 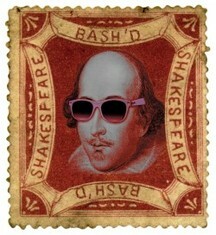 For more information, visit http://www.shakespearebashd.com/. The Toronto Fringe Festival runs from July 2 – July 13th, with showtimes throughout the day. For more information about purchasing tickets for these shows, and all things Fringe Festival, visit fringetoronto.com. A Shakespeare Summer- Productions and Festivals Across Canada! The summer holidays are fast approaching, which means travel and vacations for some. No matter where your days off take you, there are many ways to experience Shakespeare across Canada! Here’s a look at Shakespeare festivals and productions happening this summer. 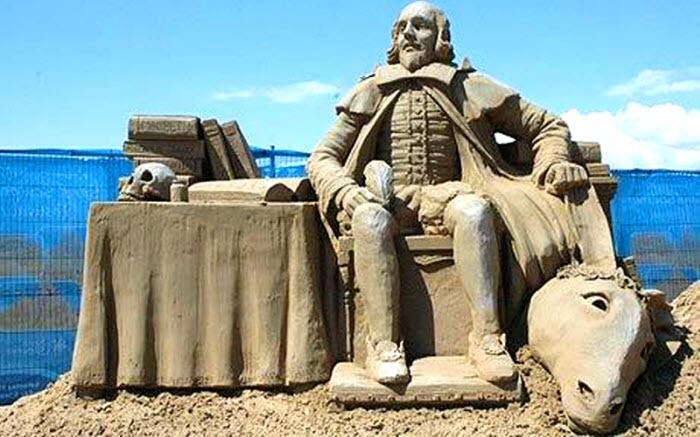 Vancouver, British Columbia is host to Bard on the Beach, one of Canada’s largest not-for-profit, professional Shakespeare Festivals. Celebrating their 25th season, they are presenting A Midsummer Night’s Dream, The Tempest, and Cymbeline. In addition to those three Shakespeare plays, they are presenting Equivocation by Bill Cain, a play in which “Shakespeare is commissioned to write a play about the Gunpowder Plot, only to discover there are times when writing the truth can be deadly…”. Bard on the Beach runs from June – September. For more information visit http://www.bardonthebeach.org/. Since 1989, Freewill Shakespeare Festival has been offering Edmonton their summer Shakespeare experience in the Heritage Amphitheater in Hawrelak Park (though they’ve had to change venues for this season due to repairs at the amphitheater). Their 2014 season showcases The Taming of the Shrew, running from July 9-27. For more information visit http://freewillshakespeare.com/. Shakespeare on the Saskatchewan is presented on the banks of the beautiful South Saskatchewan River in the heart of Saskatoon. For their 30th season, they are producing Romeo and Juliet and The Taming of the Shrew. Shakespeare on the Saskatchewan runs from July 9 – August 24. For more information visit http://www.shakespeareonthesaskatchewan.com/. From June 4 – June 28, Shakespeare in the Ruins presents The Comedy of Errors. The shows are played in the Ruins in the Trappist Monastery Provincial Heritage Park in Winnipeg, Manitoba. For more information visit http://www.shakespeareintheruins.com/. Canadian Stage presents Shakespeare in High Park every summer in Toronto, Ontario. This season they offer us As You Like It and Titus Andronicus running from June 26 – August 31. For more information visit https://www.canadianstage.com. In various parks across Quebec, Repercussion Theatre presents Shakespeare-in-the-Park: Harry the King – The Famous Victories of Henry V. This year’s tour offers an adaptation of Shakespeare’s historical plays Henry IV pt. 1, pt. 2 and Henry V, and runs from July 4 – August 2. For more information visit http://www.repercussiontheatre.com/. Shakespeare by the Sea is an artist-driven collaborative organization in Halifax, Nova Scotia. This season, they offer The Taming of the Shrew from July 6 – August 30 and Merchant of Venice from August 2- 29. Visit http://www.shakespearebythesea.ca/index.html for more information. Newfoundland offers Shakespeare by the Sea Festival, the longest running outdoor summer theatre event in the St. John’s area. Their 2014 season presents The Taming of the Shrew from July 6 – August 11 and All’s Well That Ends Well from July 18 – August 16, as well as other performances and events. Visit http://shakespearebytheseafestival.com/ for more information. Victoria’s Shakespeare by the Sea is in its second year, and will be presenting Macbeth and The Comedy of Errors. The shows will be running from July 1 – August 3. Visit http://www.vicshakesea.ca/ for more information! These are some of the Shakespeare performances occurring this summer. If you know of any others being produced, let us know in the comments below! As a performer, I experience the magic of theatre in a multitude of ways, most of which is made possible because of the work that goes on behind the scenes. One of my favorite moments of walking into a theatre for a show is seeing the space transformed by the set. People devote hours of their time to design, build and paint each piece to create the desired environment. It’s quite a process, too! First, the director takes what’s written on the page and imagines the locations as described in the script. The director then adapts these images to be played practically on a stage, and relays their vision to the set designer. The set designer then designs the set, keeping in mind the limitations of the theatre space, respecting the director’s artistic vision and blocking choices, yet allowing their creative vision to also be present. Some set designers make mini sets to show the director what they’ve created, others make drawings, similar to blueprints, to show the director how the pieces work. Once the director and set designer are satisfied with the design, it’s time to build, paint and decorate! Building a set occurs in stages for practical reasons of getting it from the shop to the theatre. The pieces of the set will be cut, painted and decorated as much as is possible, and won’t get to the theatre until move-in day! Move-in day is usually the weekend before a show opens. It is on this day that all the pieces will be put together to make up the entire set. I’m sure there is more to the process than I have described here, but this is how I understand the basics of a set being created from script to stage. I have a lot of respect for all the people involved in the making of sets, because their hard work lets me do what I love! For that, I am eternally grateful. “…and he felt no remorse what so ever!” is what I overheard a student remarking last week as he and his classmates exited the theatre after attending SIA’s production of Hamlet. I imagine his remark was in reference to Claudius’ character. That kind of observation, comparison and conversation is why theatre is important. Theatre helps us understand human motivation and psychology, it teaches us to look inward at ourselves and identify with characters that mirror or challenge our values and simultaneously entertains audiences. I believe that it is harder than ever to successfully capture today’s theatre audience, but I also believe that today’s audience is better equipped to be challenged and moved by the power of theatre. Here’s why: I often observe parents or teachers remarking that kids today are more technologically inclined than ever, that they’ve been operating computers and iPhones since before they could talk. That’s why the experience of attending a live show is thrilling. It’s brand new and it’s happening in real time, it’s “reality entertainment” at it’s best…it doesn’t get more real than actors performing right before your eyes. Unfortunately I think we underestimate the transient power of theatre and assume that kids today don’t understand or can’t appreciate or can’t grasp the complexity of theatre let alone Shakespeare’s work. I’m 24 and I’m a theatre graduate and I’m not sure that I’ll ever fully understand Shakespeare, but I know how it makes me feel, and isn’t that the point? To be able to experience something that sparks an insightful conversation? Something that reminds us of our own humanity? I’m writing this morning from our offices at Shakespeare in Action, a week after overhearing that student’s reaction to Hamlet…I can still see the expression on that student’s face, smiling at his friend, something about Claudius’ character resonated with him and made him contemplate the themes of remorse and consequence. I was ushering that afternoon and he thanked me on his way out, “This was really good,” he said, “Thank you so much!” And in that moment, I was humbly reminded of how thankful I am for that thing called theatre magic. It’s real. Get out to a theatre and experience it for yourself and whatever you do, don’t fret about whether you ‘get’ it or not.